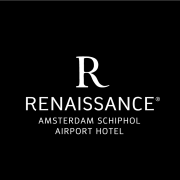 The B&F Service Ambassador in the Renaissance Schiphol Hotel is al all-round position with a wide range of working environments. One day you can be opening the restaurant to set-up the breakfast buffet for our guests, the next day you might be assisting in one of our meeting rooms and the week after you are serving in our Bar ‘Bloom’, or in our Restaurant ‘Signature’. Our B&F Waiter will welcome our guests with a friendly, authentic approach, creating a unique and personalized guest experience.